The alumnus who broke the story of the decade has set off a nationwide debate of privacy and security, but he didn’t get his love of journalism at GW. Glenn Greenwald, the columnist who first shed light on the National Security Agency’s widespread surveillance program of Americans from thousands of leaks handed to him by former contractor Edward Snowden, was molded by four years on GW’s debate team. A philosophy major who graduated in 1990, Greenwald learned how to argue under the guidance of Steven Keller, a lecturer in the School of Media and Public Affairs. Keller remembers Greenwald as one of the best students he coached in his 25 years as the director of the team. 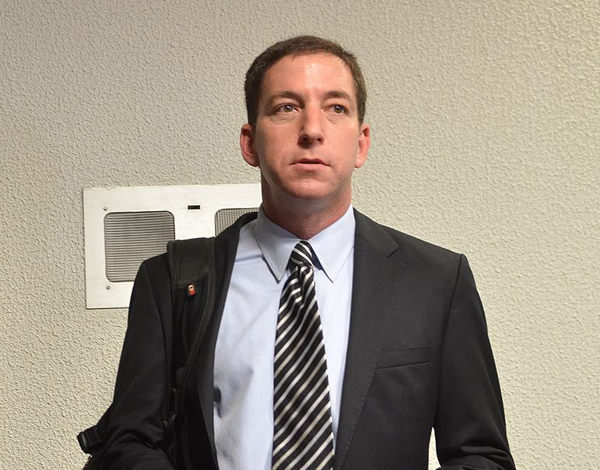 Keller said Greenwald was “amusing” but also “edgy” – a trait that would stick with him throughout his life as he was constantly on the other side, fighting for the underdog. His mom, Arlene Greenwald, who lives in Florida, added that GW helped teach him to think on his feet. It also threw him into the world of politics, which would continue to fascinate him throughout his adult life, she said. But one year before his big story, Greenwald told University administrators that more students should get the chance to learn the art of argumentation. “I continuously draw on the talents I developed as a GW debater,” Greenwald wrote in a letter to School of Media and Public Affairs director Frank Sesno in 2012. He urged the school to pour more resources into the debate program, which he called the most important experience of his college career. Now, Greenwald lights up cable news shows, sniping at politicians and commentators who call Snowden a traitor. Keller added that Greenwald came to GW with some experience debating students across the country while in high school. As a junior, Keller said Greenwald had become the best debater on the team. Greenwald also shared another big moment while living on the Foggy Bottom Campus: He came out as gay. After graduation, he packed his bags to study at New York University’s School of Law, where he would learn the ins and outs of constitutional law and cement his desire to fight for sometimes controversial civil liberties. With a law degree in hand, Greenwald received 12 job offers after graduation, ultimately picking the law firm that offered civil union benefits. A strong advocate for civil rights, Greenwald made headlines when he won a First Amendment case for neo-Nazi Matthew Hale – and also pushed his law firm, Greenwald Christoph PC, into prominence. It was the skills he learned on GW’s debate team – “critical thinking, research proficiency, and ability to marshal persuasive arguments in both oral and written form” – that has since helped him win that case and dozens of others. But when he fell in love with Brazilian native David Michael Miranda, he decided to give up his decades practicing law to live with him in Rio de Janeiro. That was the move that eventually led him to start blogging, where he transferred his love of fighting for civil rights in the courtroom to his commenting on politics. Snowden, a longtime fan of Greenwald’s column, contacted Greenwald with the documents. Since the leaks went public, Greenwald has left the Guardian to start a media outlet dedicated to investigative reporting that has earned financial backing of eBay founder and chairman Pierre Omidyar. On a more personal level, the big NSA leak has also affected his family. His mother said she visits Rio sometimes, but said it’s scary that her son doesn’t feel welcome to travel to the states. “It’s kind of strange to live in the U.S. and have a U.S. citizen feel like he can’t travel to the U.S. It’s frightening, but it is what it is,” she said.